This is a list of the top five songs about using and smoking marijuana. Even if you don’t smoke, these songs will surely put you in a relaxed mood (Songs that almost made this list include: “Marijuana” by Kid Cudi, “Mary Jane” by Rick James, “Because I got High” by Afroman, “Sweet Leaf” by Black Sabbath and “Roll Another Number (For the Road)” by Neil Young). Number Five: “Ganja Babe” by Michael Franti.“Ganja Babe” is a song by Michael Franti, off of his 2002 album, Songs from the Front Porch (correction by JT - 'Chocolate Supa Highway' 1997). This song seems to be love song dedicated to a woman who likes to smoke pot. Lyrics include, “heavy medicine / ya see my eyes are feeling red again / …my girl lollipop, she growing mad crops / she rollin’ herbs everyday / …see Mary Mary quite contrary / how does your garden grow / hydroponic, ultra supersonic / or does it grow naturally slow?” The concluding lyrics are, “so baa baa black sheep have you any wool / yes sir, yes sir a nickel bagful / one for my partner one for my crew / some for my ganja baby she needs two / cause just like me they long to be…high.” Clearly this is a song about weed and a catchy one at that. Number Four: “Kaya” by Bob Marley and the Wailers.“Kaya” is a song by Bob Marley and the Wailers, off of his 1978 album of the same name. In Jamaican, “kaya” is a slang term for cannabis, while in Rastafarian culture, it also means enlightenment. The main line in the song is, “Got to have kaya now / for the rain is falling,” followed by, “I’m so high, I even touch the sky / above the falling rain.” The ‘falling rain’ seems to symbolize everyday problems like poverty, troubles with authority and overall problems with “the man.” He rises above these problems by smoking marijuana and elevating himself above these problems by feeling alright by smoking ganja. However, this song easily can have a double meaning; as mentioned previously, “kaya” means enlightenment, and so besides getting high on cannabis, the narrator could be getting high on wisdom and knowledge. Number Three: “Smoke Two Joints” by Sublime.“Smoke Two Joints” was originally written by The Toyes, but Sublime covered it on their 1992 debut, 40oz. to Freedom. This cover features a sample in the beginning of the song (from Beyond the Valley of the Dolls) and a sample from the lead singer of the Ziggens, saying, “Smoked cigarettes til’ the day she died!” Bradley Nowell then comes in and sings, “I smoke two joints in the morning / I smoke two joints at night / I smoke two joints in the afternoon / it makes me feel all right.” Essentially this song is all about smoking joints at any and all occasions. Number Two: “One Toke over the Line” by Brewer & Shipley.“One Toke over the Line” by Brewer & Shipley came off of their 1970 album, Tarkio. While the writers of this song actually said it’s about excess of drugs, the song has become universally known as a pot anthem. A “toke” is considered a hit of a joint or blunt, so “one toke over the line” can perhaps be seen as smoking too much. Nonetheless, the song continues to bring in revenue to Brewer & Shipley, despite what their true intentions were in writing it. 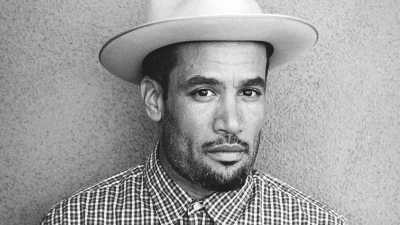 Number One: “Burn One Down” by Ben Harper.“Burn One Down” is a song by Ben Harper, off of his 1995 album, Fight for Your Mind. The song begins with a solo of congo drums, which fuses into the eventual acoustic guitar. The lyrics begin, “Let us burn one from end to end / and pass it over to me my friend,” followed by, “herb the gift from the earth / and what’s from the earth is of the greatest worth / so before you knock it, try it first / and you’ll see it’s a blessing and it’s not a curse.” The chorus goes, “if you don’t like my fire / then don’t come around / cause I’m gonna burn one down.” Clearly this song is about smoking weed, and I put it at number one because it always relaxes me, plus it brings a bit of nostalgia from my weed-smoking days. Harper frequently performs this song live.